Take the math and stress out of scallops! 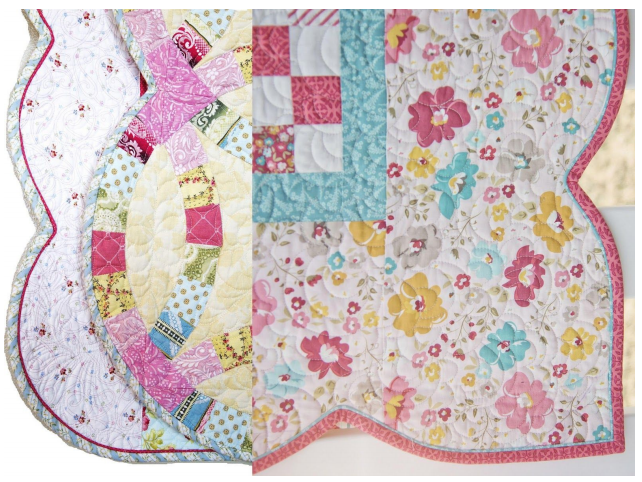 Create beautiful scallops or wavy edges on your quilt with ease. You will learn an easy technique for marking the edges of your project to create something you will be proud of! Extra Demo on Piping!